What makes London Fire Brigade Dogs Awesome? London’s cutest Investigators, sorry Sherlock Holmes! Fighting the rampant fires, saving people’s lives, the London Fire Brigade dogs do it all in a day’s work. Meet Sherlock, Murphy and Roscoe, the super-skilled dog detectives of London Fire Brigade ― trained to identify a variety of ignitable substances and assist with criminal investigations. These dogs sniff around fire incidences and establish whether substances like petrol, lighter fluid or white spirit have been used on the scene to start a fire deliberately. 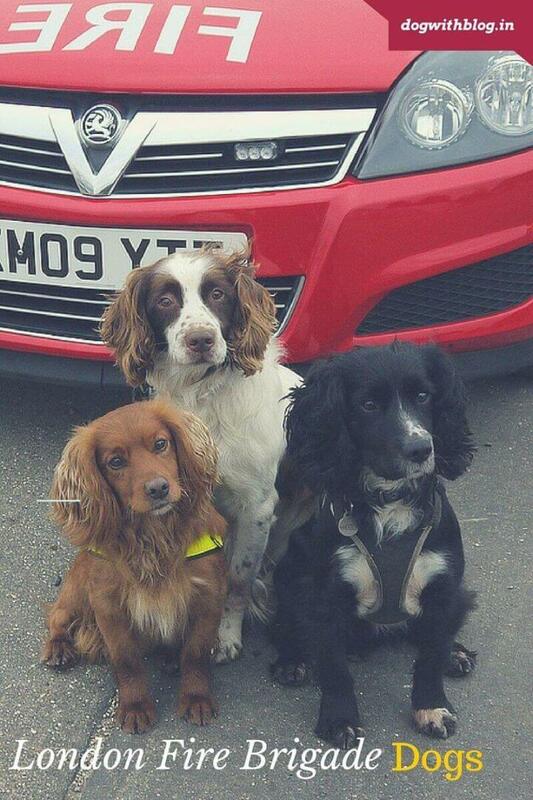 Using their sense of smell, which is more accurate than technology that has been designed to detect ignitable substances, these dogs have helped the Fire Investigation Team provide a higher level of accuracy and improve the conviction rate against people who deliberately start fires. The London Fire Brigade has observed that the efficiency with which dogs can sniff out ignitable substances has reduced the time required to investigate the scene of the fire. So convinced they are with their canine detectives that if the dogs find nothing, only then the Fire Investigation Team focuses on the alternate source(s) of ignition. The London Fire Brigade dogs are selected at a young age based on their high drive for play. They follow a positive reinforcement based training programme, rewarding them with a tennis ball each time they detect an ignitable substance. When investigating fire scenes, the dogs wear boots to protect their paws from shards of glass and other sharp objects. The dogs are never sent into hot scenes and there has been no report of any injury to any fire dog, throughout the country, while working. It seems that the time is ripe to pass on the baton of London’s most famous address 221b Baker Street to 169 Union Street for that’s where the specialist fire investigation dogs are. And to top it, the latter exists for real! Posted on October 6, 2015 October 6, 2015 Author Abhishek JoshiCategories Hail the hound!